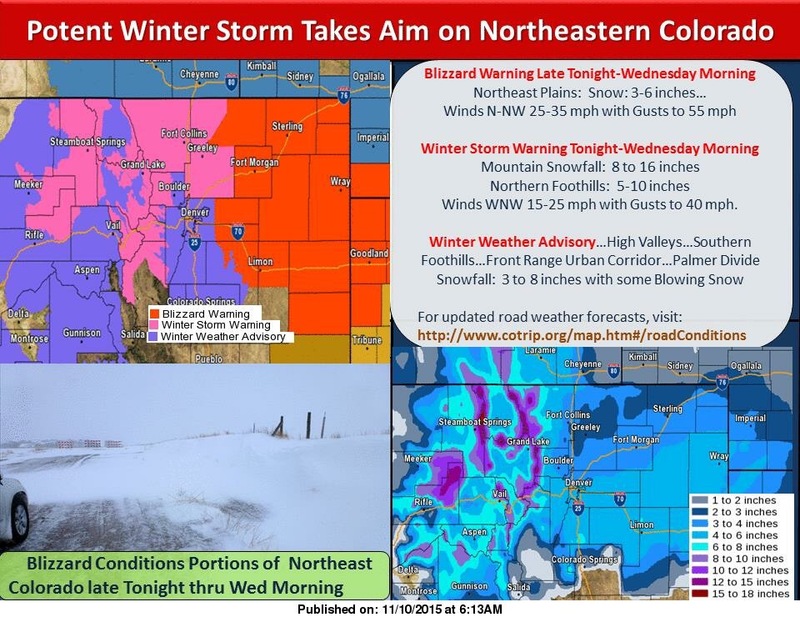 A strong storm system will bring blizzard conditions to northeast Colorado/surrounding areas and severe weather from parts of the Midwest down into eastern Texas on Veterans Day. 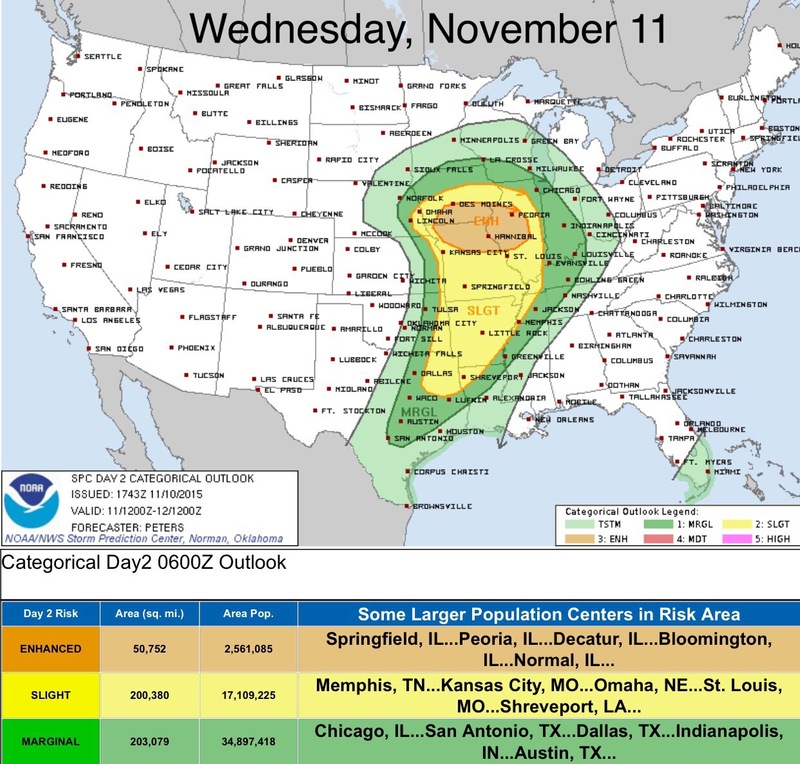 From SPC: Severe thunderstorms capable of large hail, wind damage and an isolated tornado are expected to develop in eastern parts of the central plains and lower to mid Missouri Valley late Wednesday morning into the early afternoon. The potential for wind damage and tornadoes may increase during the afternoon across the mid Mississippi Valley. A more isolated threat for wind damage and tornado will also be possible during the afternoon across Arklatex, Ozarks and lower Mississippi Valley.